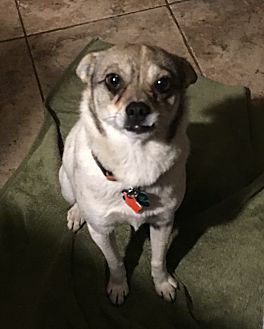 Nancy is a 2 year old Chihuahua- Pug mix that is looking for a fresh start in a new home that will love her and take care of her. Nancy and her pup were picked up in Indiana by an Animal Control Officer and turned into a shelter for continually running loose in the neighborhood. Their family known and was notified but refused to pay the fine to collect the dogs and bring them home. 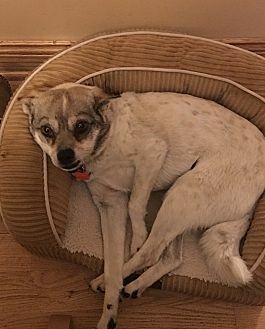 No longer wanted and homeless, this sweet girl was sentenced to a time limited shelter life in the hope of being adopted. 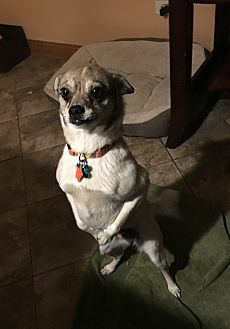 Nancy’s pup was lucky enough to find a new loving family but as her time was running low, Rover Rescue stepped in to save her, placing her in a loving and safe foster home saving her life until a perfect home can be found for her. Nancy is very timid and shy at first but once she warms up and trusts you she’s your friend for life. Nancy is a laid back, quiet girl that would make a great companion for an adult household. She is not recommended for young children as she is unsure and can be a bit growly when things get loud, noisy and there’s a lot of commotion that comes with young children. She loves to be where ever you are and will follow you from room to room just to be near you. She’s a great lap dog that will curl up for a nap on your lap as you watch TV or read a book. She is house trained and seems to prefer the indoors especially if it’s rainy or cold. 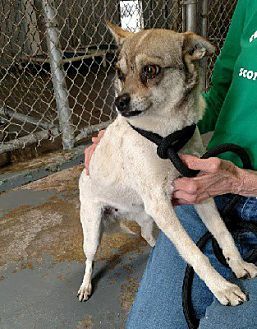 Nancy is currently in a home with other dogs and gets along with them but shows little interest in interacting with them. She would be fine and even possibly prefer to be an only dog. Since there are no cats at her current foster home it is unknown as to how she would react to cats. Nancy may not be the prettiest dog that you’ve ever seen, the most outgoing, or the most playful but she is very, very sweet and deserves a home that will love and care for her for the rest of her life and desert and abandon her at a shelter because they no longer want her. She deserves better. Nancy has been spayed, is up to date with her shots, heartworm tested and is ready to go to her new forever home. For more information, call her Foster Mom Cindy @ 708-655-9620. The adoption fee is $225.